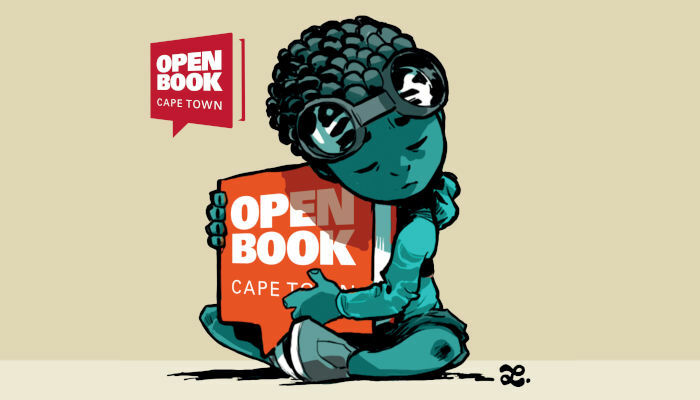 This year’s Open Book will take place from 5 to 9 September 2018 in Cape Town. Local authors who will be at this year’s festival include Tumelo Buthelezi, Ijangolet S Ogwang, Clinton Chauke, Rebecca Davis, Haji Mohamed Dawjee, Judith February, Pumla Dineo Gqola, Nozizwe Cynthia Jele, Craig Higginson, Siya Khumalo, Landa Mabenge, Angela Makholwa, Sue Nyathi, Mohale Mashigo, Niq Mhlongo and Zukiswa Wanner. Confirmed international guests include Nigerian–American writer Lesley Nneka Arimah, author of What it Means When a Man Falls from the Sky, Jamaican–American writer Nicole Dennis-Benn, author of Here Comes the Sun, award-winning author Aminatta Forna, and Nigerian–American author Frankie Edozien, whose memoir Lives of Great Men has just been announced as the 2018 Lambda Literary Award winner for gay memoir or biography, among many others! In association with #cocreateSA and the Dutch Consulate General,#cocreatePOETICA hosts a varied programme of readings, performances, discussions and workshops showcasing poetry and the spoken word. Experience the work of Dutch writer, performer and theatre director Babs Gons and musician and songwriter Ivan Words, alongside the cream of South African talent and celebrated spoken word organisations such as InZync, Lingua Franca, Grounding Sessions and Rioters in Session. The fun- filled Writersports is a firm fixture on the Festival calendar and this year challenges writers with their Cringe Factor: Behind every success are 100 embarrassing failures! The eighth Open Book Festival will take place from 5 to 9 September at the Fugard Theatre, D6 Homecoming Centre, The A4 Arts Foundation and The Book Loungefrom 10:00 to 21:00 each day. shortlisted twice for the London Book Fair Excellence Awards in the category of Literary Festivals. In 2017, Open Book hosted nearly 10 000 visitors at the record 140 events. The Open Book School Library Project increases learners’ and teachers’ access to books. The books remain in classrooms in mobile book units to be used by learners and teachers during the school day. Seven Open Boxes have been placed at St Mary’s Primary School and three book handovers to Grade R classes at Siyazingisa Primary School in Gugulethu have taken place.